The Netherlands Carillon is a bell tower near Washington, DC that was given to America as an expression of gratitude from the Dutch people for aid provided during and after World War II. The carillon plays recorded music that is programmed to play automatically by computer. Its fifty bells give it two notes more than four octaves. Winchester Chimes play daily on the hour between 10:00 a.m. and 6:00 p.m. Other patriot tunes are played at various times. Special concerts are presented on Saturdays and national holidays from May through September. 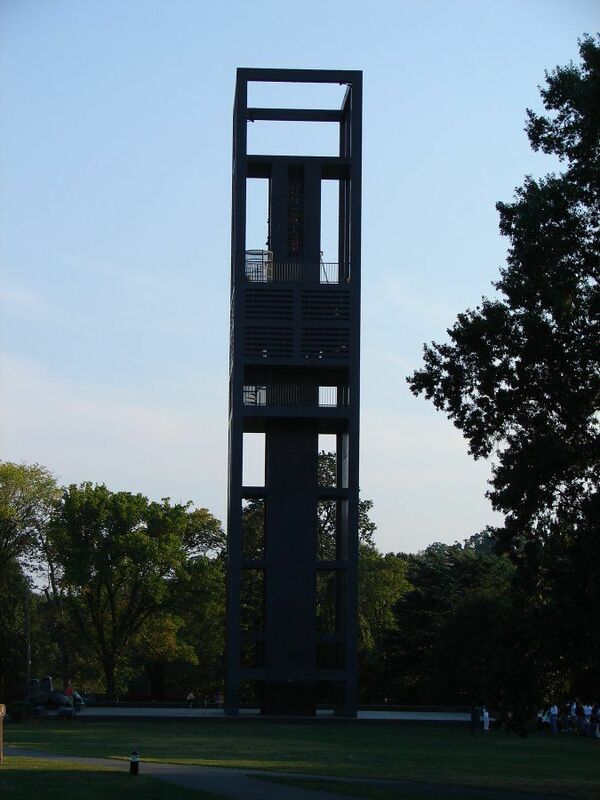 The Netherlands Carillon is located in Arlington, Virginia adjacent to the Iwo Jima Memorial. The closest Metro station is Rosslyn. Live concerts are held on Saturdays and holidays from May to September. Enjoy jazz, pop, and patriotic music on the carillon's 50 bells.